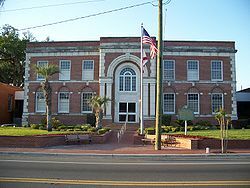 The City of Lake Butler is located North of Gainesville in Union County and is the county seat. A small rural city of approximately 1800 residents, Lake Butler offers quaint shopping, dining, parks and recreation. Union County’s Elementary, Middle and High Schools are all located within walking distance of each other. The Palatka-Lake Butler State Trail head was recently completed. The trail is 47 miles and runs along the former Norfolk Southern Railroad right-of-way rail road bed. The trail runs through Putnam, Clay, Bradford and Union Counties.